Coddle is a traditional Dublin dinner – a hearty nutritious stew made from salty bacon, sausages, onion and potato. The name comes from the long, slow simmering or ‘coddling’ of the dish. There’s a satisfying home-spun feel to traditional Irish food, with big bowls of warming dishes and trusty two-component meals that have stood the test of time. Take coddle and brown bread, bacon and cabbage, fish and chips – and the beloved ham and cheese toastie, not to mention cockles and mussels, as harmonised to the tune of Dublin’s Molly Malone. Up to now, this kind of food might have been regarded with affection, but it wasn’t always considered cool. Well, things have changed: Dublin’s chefs are reworking and reinventing menus, bringing traditional Irish food bang up to date for the 21st century foodies. They’re mixing high-grade ingredients with new techniques, making the finished article fresher, tastier and unmistakably modern – yet still staying true to the humble heritage of these simple ingredients. Just look to upscale restaurants such as The Greenhouse, Dax, Forest Avenue, and Chapter One and you'll see what we mean. 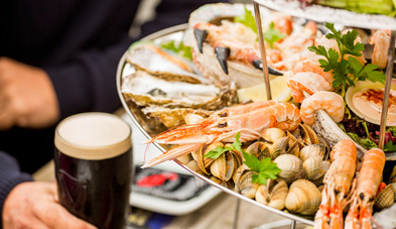 Dublin Bay is famed for its prawns and mussels. Tuck into a bowl of creamy seafood chowder, brown bread and a pint of Guinness at The Exchequer. They say coffee in Ireland is so divine because of the milk we use. Established in 1931, Butler’s is perfect for melt-in-your-mouth chocolate and creamy coffee. 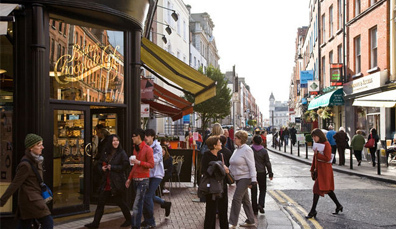 Great markets are nothing new, but in Dublin they come with plenty of chatter from the stallholders. 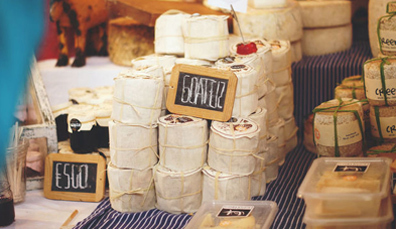 Try the Temple Bar Food Market every Saturday. There are said to be 70 million people of Irish descent across the world – but thankfully while many leave, more return to bring their expertise back to their home town of Dublin. Unafraid to use outside influences, Irish chefs are crafting their menus perfectly – with a keen eye on innovation and creativity. The result? A food scene that’s cutting-edge, constantly evolving, and endlessly exciting. It was my fourth visit to this stately city… and I’ve never eaten better. Making the chefs’ jobs easier is the fact that they have access to the freshest of local produce. 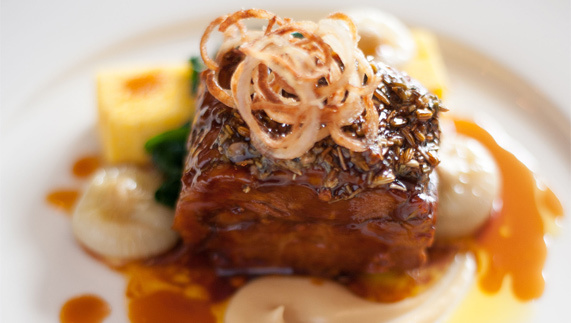 From Connemara lamb and farmhouse cheeses, to the freshest local seafood from the fishing villages that line the coast, Ireland’s chefs are turning out innovative, creative modern cooking and getting rave reviews. 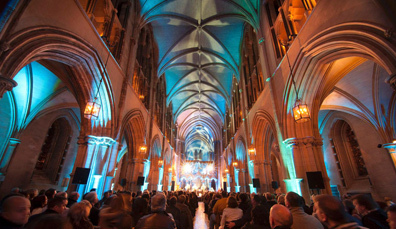 Which means all you need to bring with you is your appetite and a willingness to embark on an Irish culinary adventure. 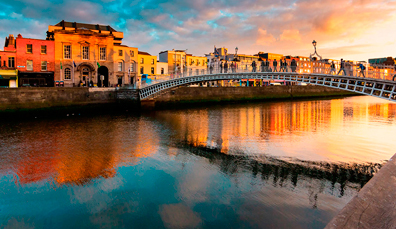 Rich wood mahogany bars, Victorian stained glass, and cosy little snugs – trust us, Dublin pubs are pure magic. There’s no better place to spend a quiet afternoon with a good book and a pint of Guinness settling on the bar. The city’s traditional pubs feel unique, from the garrulous barmen to the picture-lined walls. Each has its own personality and place in the city’s psyche – which is probably why they’re still going strong. The Brazen Head and O’Donoghue’s are all about traditional music sessions, while hundreds of rock and jazz bands have played gigs at Whelan’s, and most Irish comedians cut their teeth performing upstairs at the International Bar. Bowe’s, near The Irish Times, fills up with journalists, while Grogan’s may just do the best toasted sandwich (toastie) in town. Good puzzle would be cross Dublin without passing a pub. Many pubs have stunning interiors, but others, such as Mulligan’s and Peter’s Pub are completely plain – and have a strict no-music policy. These places are all about the chat, the banter, the craic. 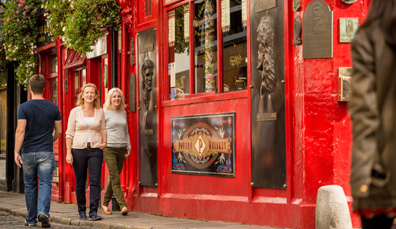 So whether it’s a quiet pint, a lively debate or wild music, we think you’ll find them all in a Dublin pub. Jameson Distillery: in production since 1740 and still going strong. Guinness Storehouse: a legend in Dublin since 1759 and a must-visit. Irish Whiskey Museum: let the master taster lead the way. Uisce Beatha, Water of Life – whatever you want to call it, whiskey in Ireland is different (we add an extra ‘e’). 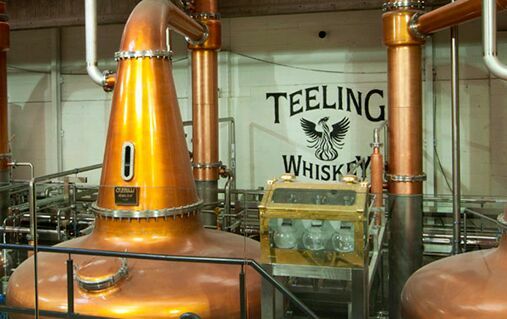 And Dublin has long been famous for some of the island’s best known whiskeys. Jameson is probably the most familiar but by the end of the 19th century, there were a host of whiskey distilleries, particularly in the Liberties area of the city. War and prohibition forced many distilleries to close. But such skilfully created drinks couldn’t disappear forever, and Irish whiskey is alive and well. A new distillery with an old name, Teeling, has opened up in the Liberties, re-launched by the descendants of the original distilling family. Meanwhile, places such as the Dingle Whiskey Bar, the Palace Bar and The Headline are bringing whiskey to a new generation. Naturally, Guinness has made a name for itself everywhere and is made up of just four simple ingredients: water, barley, hops and yeast. You can learn all about it up by St James’s Gate, at the Guinness Storehouse. But while you’ll still see pints of the “black stuff” poured in pubs all over the city, craft beers are now just as popular. L. Mulligan eschews the usual array of go-to tipples for a wide selection of Irish craft beers and hard-to-find whiskeys. A good spot to check out is JW Sweetman on the Liffey, where they brew their own beers in the resident microbrewery. And with that whirlwind tour, all that’s left to say around Dublin is Sláinte! 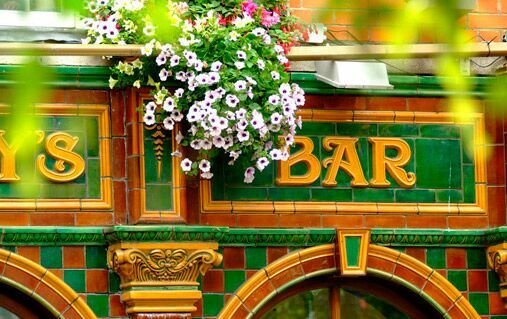 It’s easy to see why some of Ireland’s literary legends loved these classic Dublin pubs.